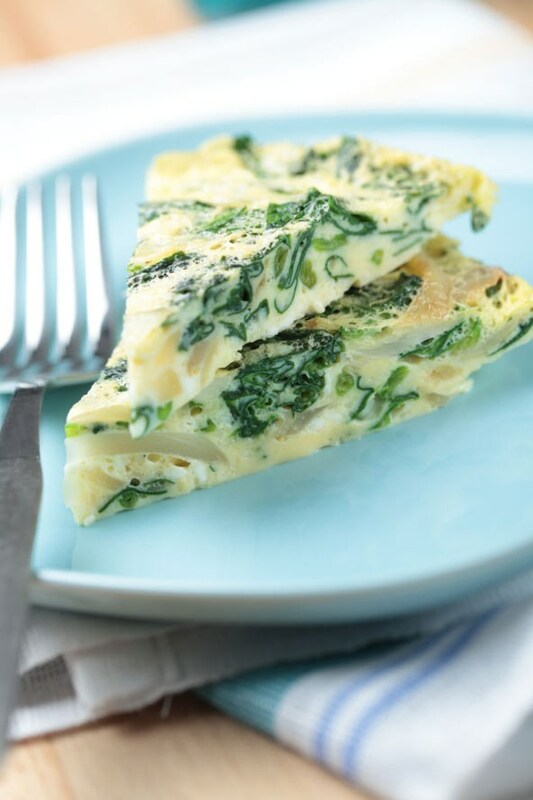 Cut your daily calorie intake easily by swapping out your breakfast or lunch for this delicious Mexican-style spinach omelette. It’s under 150 calories per serving, and it’ll keep you full for hours. 1. Combine the egg, salt, and cumin in a bowl and whisk. 2. Add a dash of oil to a non-stick pan and heat. 3. Pour the egg mixture into the pan and cook without stirring for 2 to 3 minutes. 4. Sprinkle with cheese, pepper, spinach, sweetcorn, and jalapenos. 5. Lift and fold the edges with spatula and cook until the cheese melts.